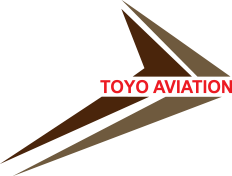 Toyo Aviation, like many others, uses small files called cookies to help us customize your experience. Find out more about cookies and how you can control them. Cookies are small text files that are stored by the browser (for example, Internet Explorer or Safari) on your computer or mobile phone. They allow websites to store things like user preferences. You can think of cookies as providing a ‘memory’ for the website, so that it can recognize you when you come back and respond appropriately. How can i enable or disable accepting cookies? Most web browsers automatically accept cookies but you can configure your Internet browser to accept or reject cookies, or to notify you when a cookie is set (check the “Help” menu of your browser to learn how to change your cookie preferences).